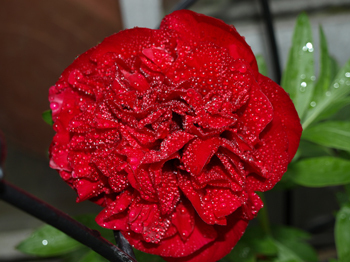 Another favourite of Mike's grandad was the Peony and, indeed, we still have one of his grandad's original plants – Paeonia officinalis 'Rubra Plena'. Although we didn't know the variety we were able to identify it from The Royal Horticultural Society A-Z Encyclopedia of Garden Plants. It is amazing how it has survived as it has been moved from pillar to post whilst we have been working on the garden. 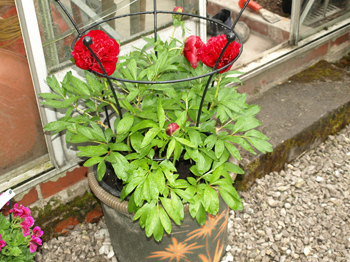 In 2013 it has settled in its final place, in a large plant pot outside the greenhouse, and this year is looking better than ever. The photos below were taken on 21st May, 2013 (please click on the photos to see larger versions). 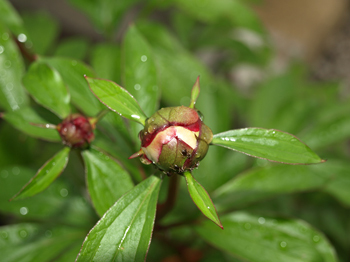 On 29 May, 2013 we had 4 flowers open on the 'Rubra Plena', with a fifth one waiting to open! Fingers crossed we will have all five open at the same time and, if so, an updated photo will be added. 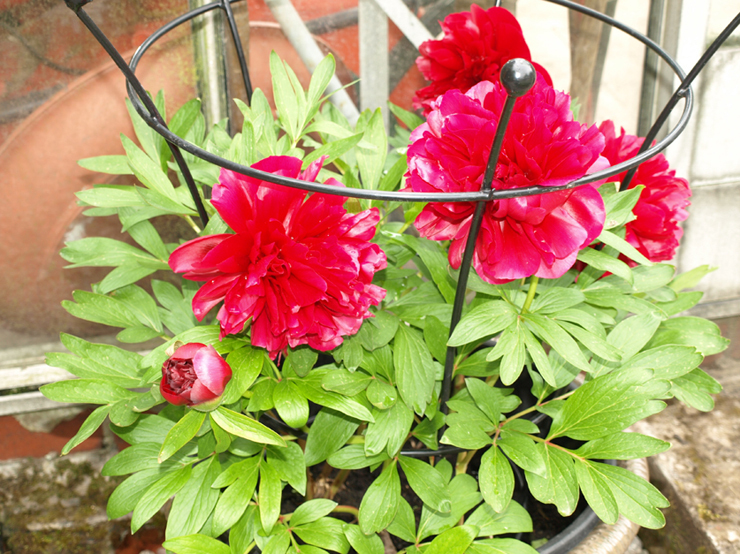 Two further Peonies were purchased in May, 2013 – 'Shirley Temple' (£9.99 10.5.13) and 'Duchesse de Nemour' from Marple Garden Centre. Unfortunately, we suspect that 'Shirley Temple' had been force-grown and, although it has buds on, we're not sure how it will fare in the long-term. The 'Duchess de Nemour' is more to the height it should be and we suspect this will fare better. Only time will tell! We decided to put both plants into the same pot, for the time being. The photos below were taken on 21 May, 2013 and the right-hand one shows a bud on 'Shirley Temple'. Please click on the photos to see larger versions. The bud on 'Shirley Temple' (above) has certainly taken its time to open – from 21st May on the above photo to 14th June below – but, thankfully it's finally done so!